2018.06.18 Late Registration has been closed. 2018.04.30 Early Registration has been closed. Late registration is now available through June 15(Fri.), 2018. 2018.04.19 Outline has been updated. 2018.04.02 Paper Submission and Young Scientist Award have closed. 2018.03.21 Paper Submission Deadline and Young Scientist Award were postponed until April 2(Mon. ), 2018. 2018.02.28 Paper Submission Deadline and Young Scientist Award were postponed until March 21 (Wed.), 2018. 2017.12.19 Young Scientist Award has started. 2017.11.10 Call for Papers has started. 2017.11.07 Registration , Visa Application and Accommodation have started. 2017.08.31 Website is now open. 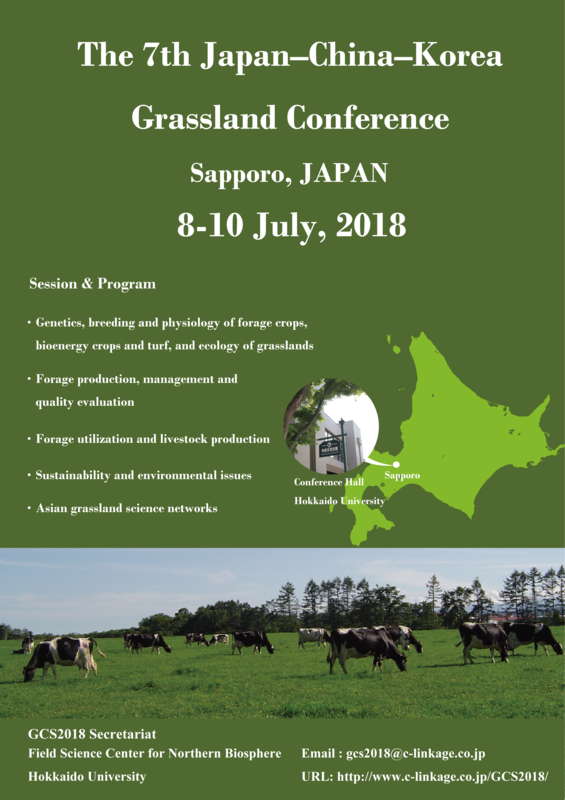 Copyright © The 7th Japan-China-Korea Grassland Conference All rights reserved.